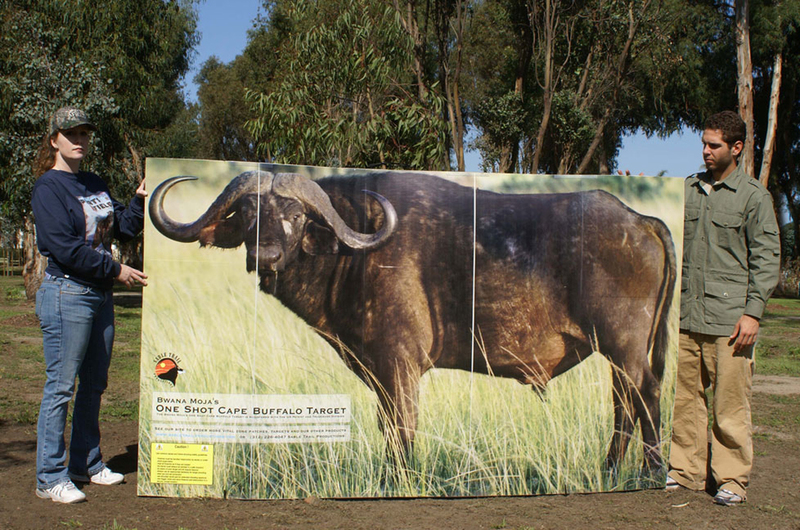 Finally, here is a long-lasting, life-size African Cape buffalo target that you can use again and again. Made from durable materials, it even comes with three self-adhesive shoulder patches so that you can replace...see details for shipping information. 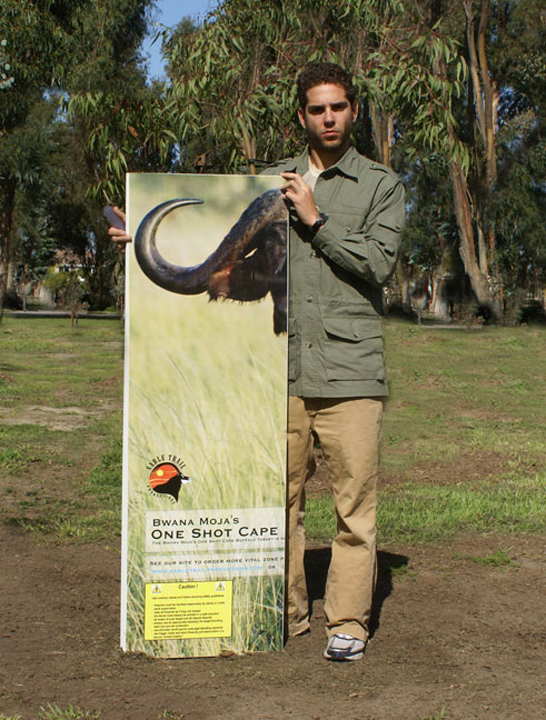 Finally, here is a long-lasting, life-size African Cape buffalo target that you can use again and again. Made from durable materials, it even comes with three self-adhesive shoulder patches so that you can replace the heart/lung area once you have shot it out. (That’s assuming you hit the target correctly!) 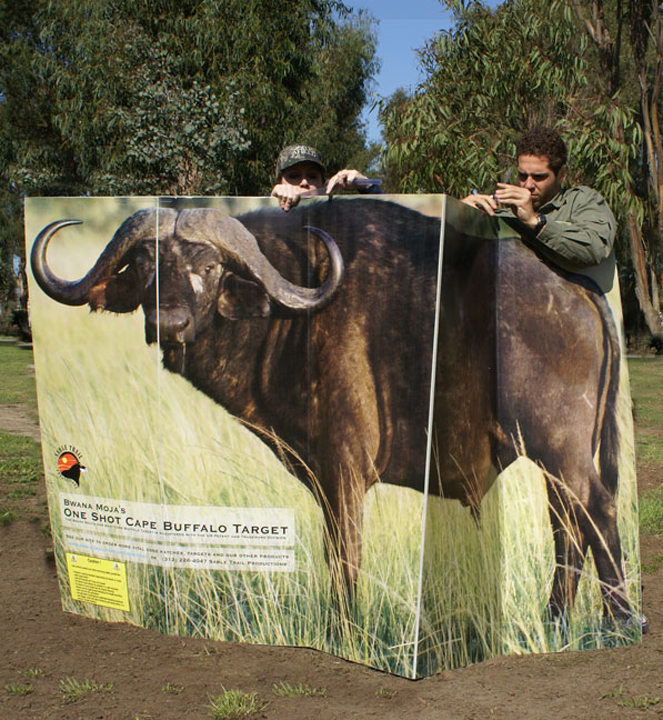 It measures approximately 5 feet high by 8 feet long (150x240 cm). 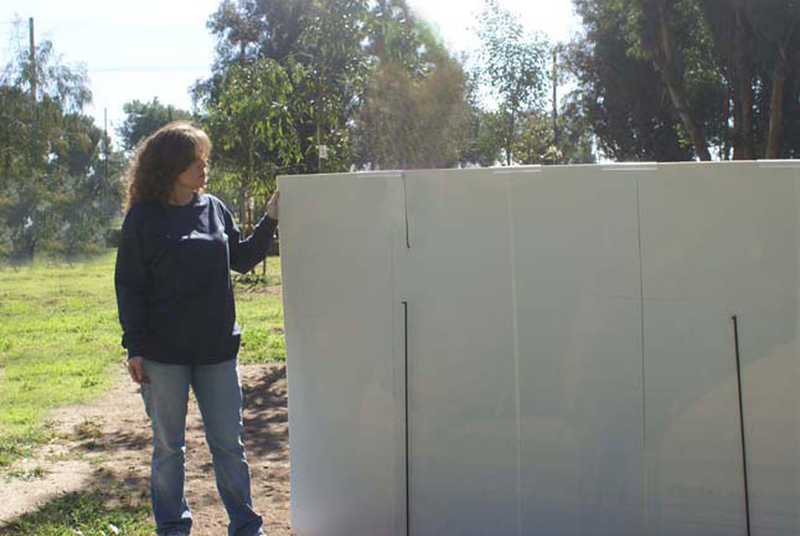 It’s made from a very lightweight, water-resistant, corrugated plastic (PPO board), and it comes as one unit that is folded into five panels. 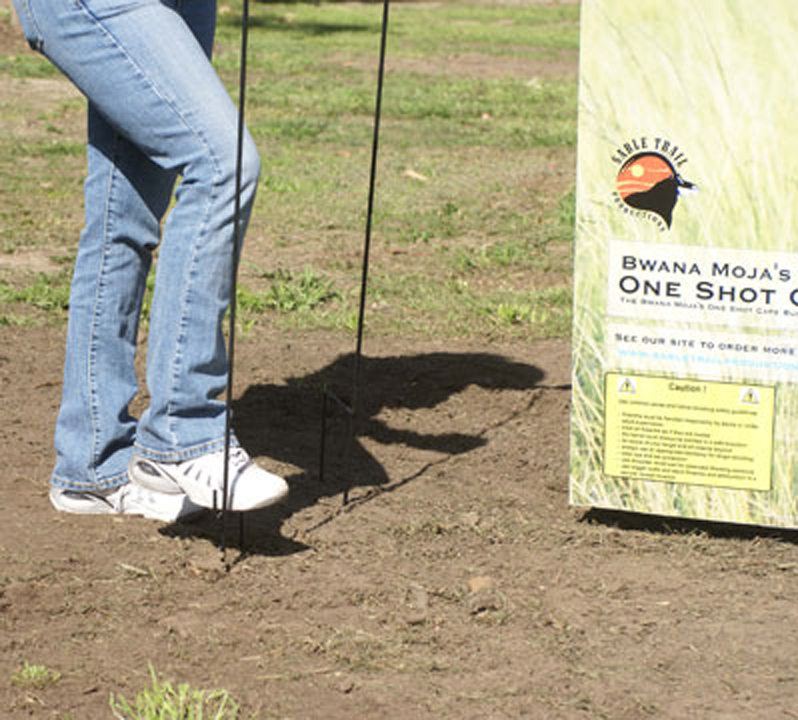 Two metal bars with sharp points on one end can be pressed into the ground to hold the target up. Eight plastic clips and two elastic-stretch (bungee) cords hold the unit upright. The whole takes only a few minutes to set up, and the ease of construction means that you are ready to shoot immediately. 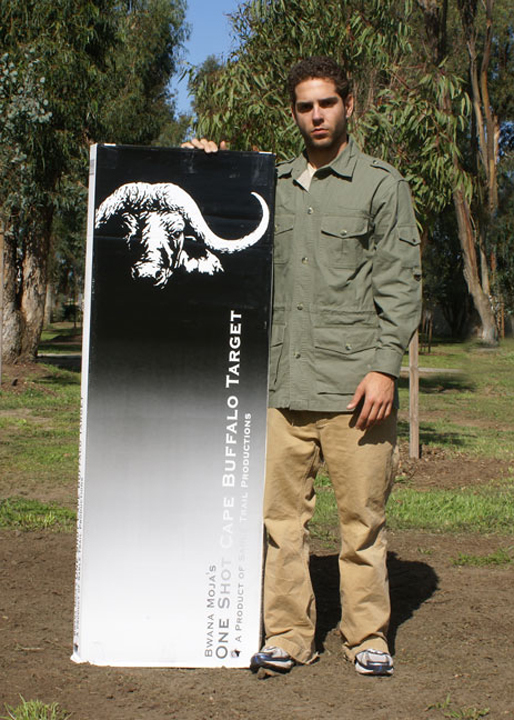 As you can see from the attached pictures, we actually went out and tested this target. We have found that this system works better when it is attached to a piece of large-size plywood or particleboard and held straight with two wooden small beams. We found the metal bars and bungee cords to be less stable, especially when there is wind. Do not shoot at this target from any closer than forty yards. When shooting at this target, please remember to use a safe backstop for your bullets. Also remember that metal bars hold up the target (just like target frames at a shooting range), so there is a danger that a bullet might ricochet off the metal. 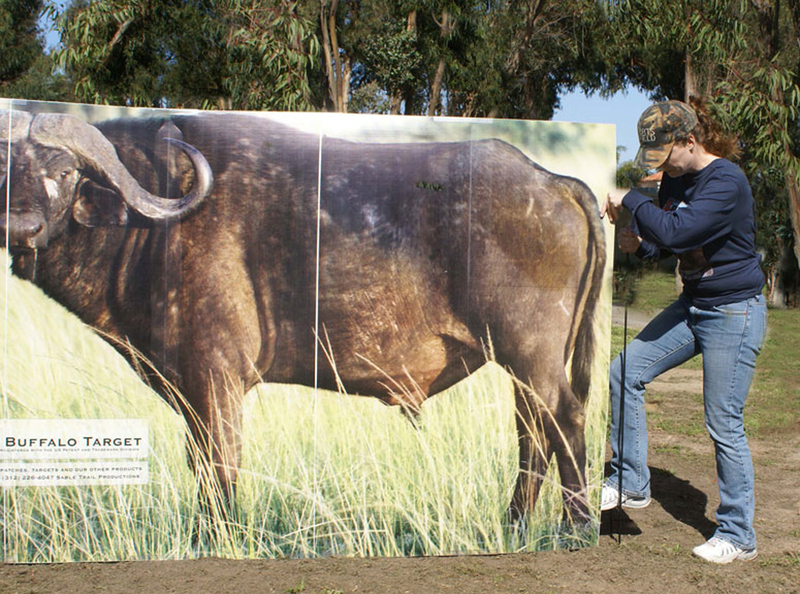 Always wear hearing and eye protection when shooting at any target. Please note: The price on this target has been reduced due to a manufacturing defect. When unfolded, the printed overlay pulls back slightly from each scored area, leaving white areas between each panel. This defect is cosmetic in nature and does not affect the usefulness of the target. This item ships separately. Shipping is via Parcel Post or UPS to addresses in the United States. Shipping will be corrected if anything other than these options are selected prior to processing. For international customers, the large size of these targets makes the international shipping costs different for almost every country. We can ship these to some countries via the United States postal system, and, given the large size of this product, the prices are reasonable. For example shipping to Germany, Spain, and United Kingdom is $80. Shipping to Canada is $55.00. Duties and taxes are the sole responsibility of customers. We will confirm shipping cost prior to processing as actual shipping cost is not reflected on the website due to it's immense size. 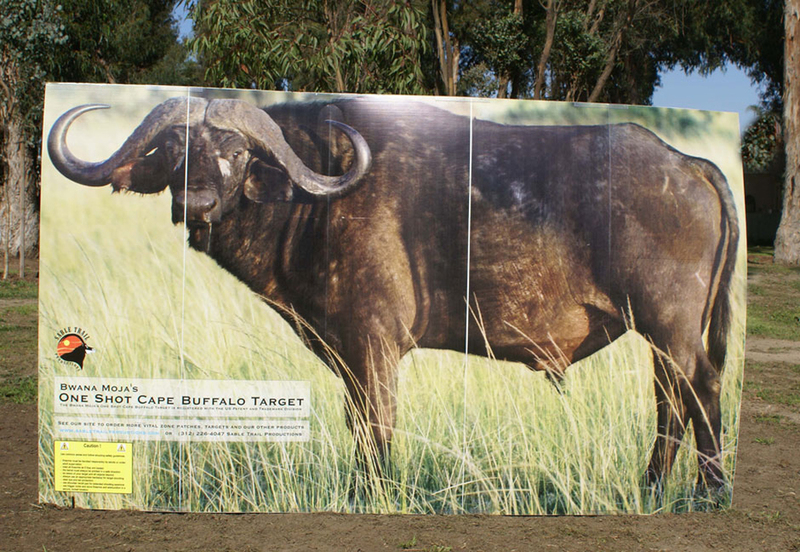 Submit your review for "Life-Size Buffalo Target"